I ran this section of trail with 8 other runners from the Truckee Running Club. We began our run at Spooner Summit, finishing 12.2 miles later at the Kingsbury North trailhead. The first 4 miles of trail is a 1,700 foot climb, loaded with switchbacks. Most of the trail is smooth with sandy soil for easy running. At the top of the climb, you break out onto a ridge above the tree line. The views of Lake Tahoe are spectacular. The trail stays on the exposed ridgeline at 8,800 feet for just over 1 mile. From this ridgeline to the Kingsbury North trailhead is a net loss of 900 feet. The gentle downhills feel great on the legs. The final 3 miles to Kingsbury North has some rocky steps and some light uphills. The nine of us had a great time on this very runable trail. We split into groups when necessary and kept our eyes out for each other. There is cell coverage at both trailheads and I assume most places along the trail. The trail signage was good when we ran. There are really only two places to take a wrong turn if the signs are vandalized. You don’t want to turn east on the Sierra Canyon Trail (roughly the ½ way point) and make sure you go to Kingsbury “North” if you have a car parked off Benjamin/Andria Drive. Kingsbury South drops down the mountain and crosses Hwy. 207. If you run this trail in the reverse (Kingsbury to Spooner) it should be a little easier because Kingsbury is 800 feet higher in elevation. You would also run the more technical (rocky with steps) section first, while the legs are still fresh. 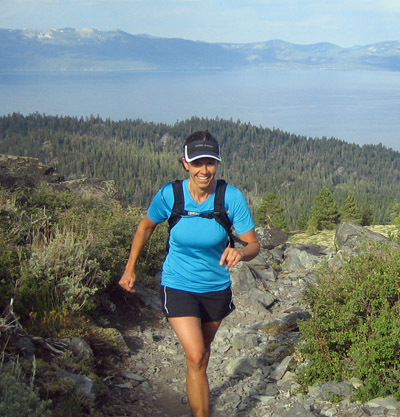 The Spooner to Kingsbury section of the Tahoe Rim Trail is open to mountain bikes. The majority of the trail is rideable. There are only a few steep pitches and rocky steps that would require dismount. The Kingsbury North trailhead is located off Hwy. 207 to North Benjamin Drive. North Benjamin turns into Andria Drive. The trailhead is at the end of Andria Drive. The Spooner Summit trailhead is located on the south side of Hwy. 50 just west of the summit. 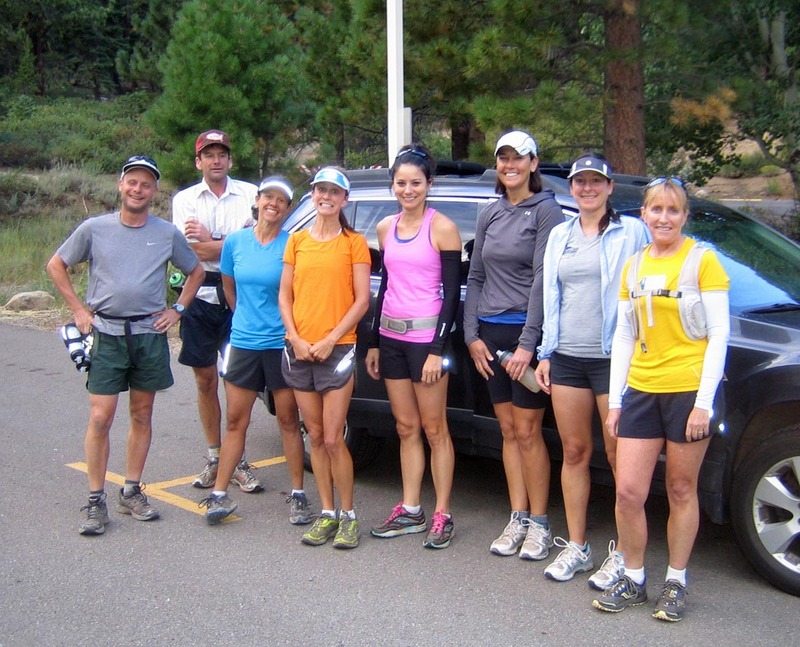 Follow the Truckee Running Club on Facebook. 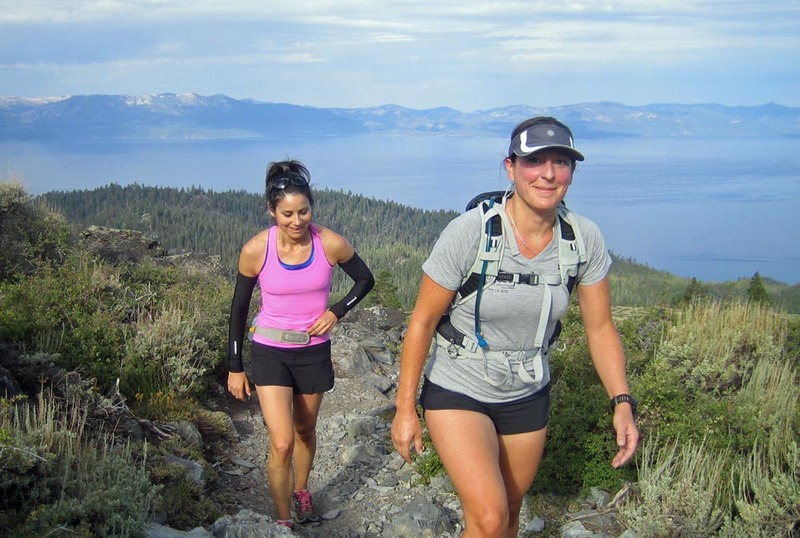 Check the Tahoe Rim Trail website for information about this section and others. The ridgeline near South Camp Peak.